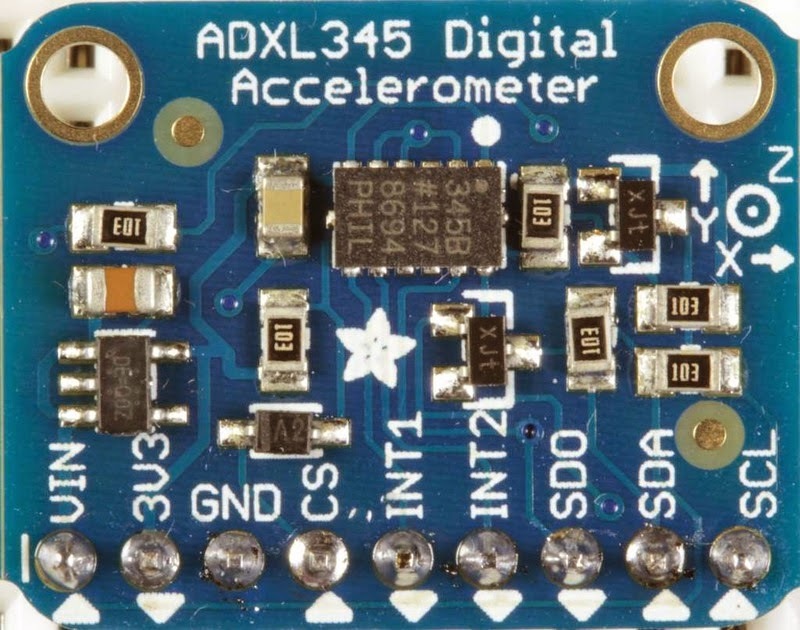 A little while ago I got my hands on a Adafuit ADXL345 (a triple axis accelerometer) from pimoroni, you can also get them from Amazon (US, UK) if that's easier, and I finally got around to setting it up. Pimoroni also provide a really useful python module to interacting with the ADXL345 which you can get from github - https://github.com/pimoroni/adxl345-python. You should see the G readings from the ADXL345. If you get 0.000G for all axis then something probably isn't set-up correctly. The program below imports the module, instantiates an ADXL345 object and reads values from the accelerometer as g-forces. You can change the sensitivity of the ADXL345 by using the .setRange() method of the class. Its a great accelerometer and really easy to use in your python projects. Does the module show up when you run sudo i2cdetect -y 1 ? Or are any errors shown? If there are no errors and it doesn't show up I suspect its either not wired up properly or doesn't work. p.s. I wrote this setup based on a model b rev 2. Connect the CS pin to HIGH (Vs / 3.3V). This fixed it for me. Thank you, Diego. Setting CS to high did it for me, too. I would like to note that I needed to adjust the i2c to "enabled" using the pi button (top left) -> preferences -> pi config -> interfaces. there is any error when I run sudo i2cdetect -y 1 .. I'll try with other sensor. When you say "SDL", I assume you mean "SCL"? I do indeed, a slip of the keyboard. Post updated! Could i connect multiple Accelerometers? I would like to use the accelerometer data to set off a buzzer if a car is tilted 15 degrees to horizontal. Any ideas how to do this in Python. I'm very new to this , but I'm trying hard to introduce the raspberry Pi into our high school curriculum. Any help much appreciated!! That doesnt sound too complicated. You will need to work out the maths to convert g to 3d angles (http://lmgtfy.com/?q=accelerometer+calculate+angle). Then an if statement and turn on a GPIO pin which is connected to a buzzer. Why does it show ~1g on the Z axis while sitting stationary? In order to get an accurate reading while vibrating, should the ~1g be subtracted? Great write up, it's super appreciated! Right if I understand you correctly... It measures 1g on the Z axis (which is presumably down for you), because the earth is pulling it down to the tune of 1g! Thank you for your tutorial, it is really helpful. It works perfectly on Python 2 (Idle) but I have problems on Python 3 (Idle3). Error message: "ImportError: No module named smbus". Any idea what to do? python-smbus is installed (newest version). I got the wrong values. While not woving the acceleration is much greater then the acceleration of the earth. I ve got two sensors and both of them messure nearly the same wrong values. Cann you say me what to do? Do you have any idea how to fix that? Where did you buy your sensors? News: z axis seems to be stuck on z=2.044G even if I move the sensor. x and y are changing the values. Perhaps try calibrating the accelerometer. Other than that, I would be tempted to start again. Reimage, reconnect, recode. Same issue here. Any updates? Hi, i follow the step exactly as you said. Those values are definitely not right. are you sure these arent the readings from a different device? Im pretty sure this isnt from the accelerometer. I record the time that I sample data. It appears that regardless of the value of BW_rate I enter, my rate hovers around 800 Hz. 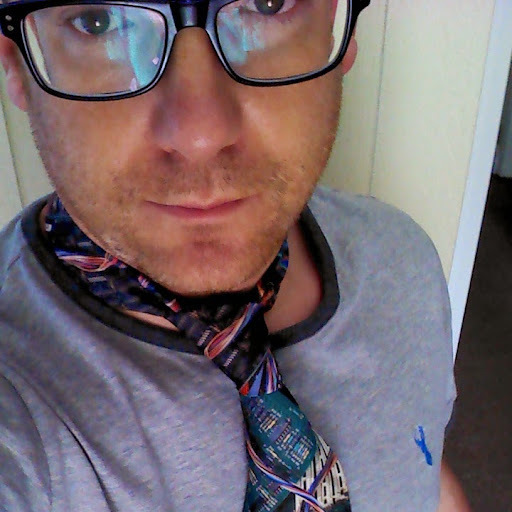 I have added a print statement, and the value that I expect gets passed into .setBandwidthRate. Any ideas as to what might be amiss? (I am actually using the SainSmart GY-85 board, a combo Accelerometer/compass/gyro, but it does use the ADXL345, and the address appears good and I am certainly getting good data from it. Sorry I dont have anything to add..
Hi it keeps showing importError: no module name adxl345 when I run it outside of the directory adxl345-Python. How do I get around this problem? Either copy the adxl345.py into your programs folder or package up adxl345 as a python module and install it. Hi guys all is working well but would there be any way to make the ADXL345 take a consistent reading instead of having to hit enter every time? I followed the instructions but when I input sudo i2cdetect -y 1 I get an error that says No such file or directory exist. Its not an error ive seen before, it suggest i2cdetect isnt installed, are you using raspbian? Your i2c is like still off. Use sudo raspi-config. select advanced options. and turn it on. The code isn't python 3 compatible, hence why you get a syntax error. The input/output error suggests the Pi cant talk to the module. This post is a little old, I dont know if the methods of enabling I2C have changed. I vaguely remember there is an option in raspi-config to enable I2C nowadays. Well something is using 1d for sure.. I had a quick look at pimoroni's library and you can pass in an address when you invoke the ADXL345 class, other than the default 53. Whether the library will work with your accelerometer is a different question! Big thanks! I did what you said and i think it now working. You are right that it is not compatible to python 3 because i still get errors when i run it with it. HI! can I ask if you could explain to me the following lines of code in your program? It is just pulling the x,y,z values from the raw data stream that gets returned from the accelerometer. I was wondering how to get M/S using this accelerometer. Any help would be appreciated! Have you downloaded the adxl345.py code from pimoroni? z axis also stuck at 2.044 please help. You need to look for changes in the x,y,z values. A big change in one of the values will tell you which way it has moved. Hi guys; on my Pi3 it's nice working, but I would need measurements over a longer time (for example for 20 seconds and one dataset every millisecond) is that possible? Did You git clone https://github.com/pimoroni/adxl345-python ?? As Surendra says, if you didnt clone or the clone failed the code wont have been downloaded into the adxl345-python library, so when you cd (change directory) to it, it wont be there.